If you work in an office, study or have to work with documents a lot for another reason, you often have to work with PDF files. It is one of the most convenient ways to work with complete documents, however, sometimes they still need editing. Now you can work with this type of files everywhere, you just need your smartphone or tablet for that. Even if you are not ready to spend money for the best PDF editor apps, you can find something for free and enjoy all the basic functions. 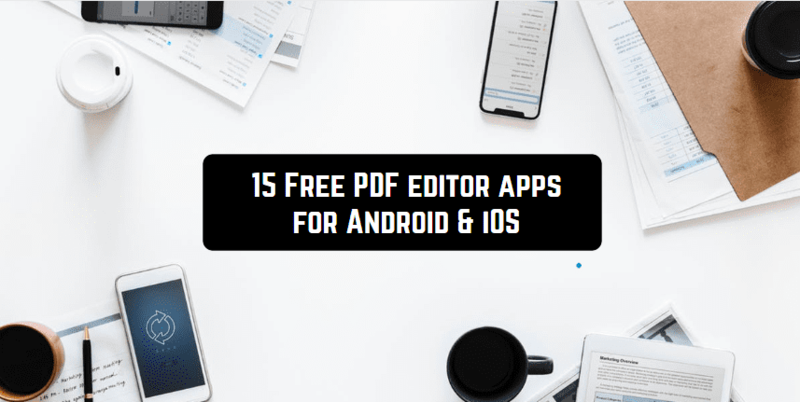 So, let’s take a look at the best free PDF editor apps for your gadgets. Xodo is one of the best PDF readers and editors you can find for both platforms absolutely for free. The app has a very simple interface, works smoothly and has all the basic features for PDF editing and annotating. It allows you to work with all the PDF documents stored on your device or on different cloud storages (Google Drive, OneDrive, Dropbox and others). You can sign all the PDFs, write on them, highlight or underline the text and annotate the files with other users at the same time. The app works with other types of files (MS Office Word, PowerPoint, and Excel) and makes PDF files from them. What is more, using this app, you can scan documents using your camera and make new PDF files. Absolutely free and doesn’t contain any in-app purchases. Another good app for PDF reading and editing. 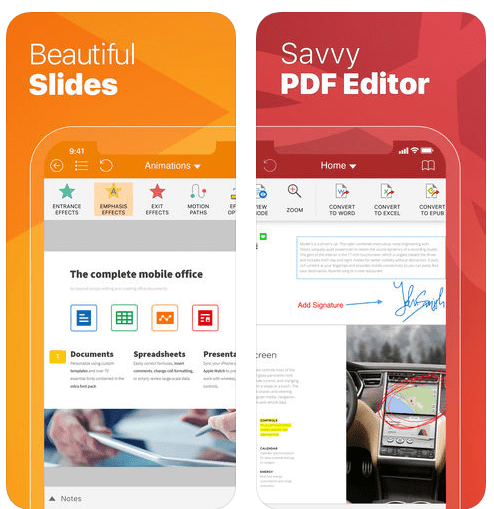 With this app, you can enjoy almost all the functions available for mobile platforms connected to PDF editing. You can organize your PDF files easily. 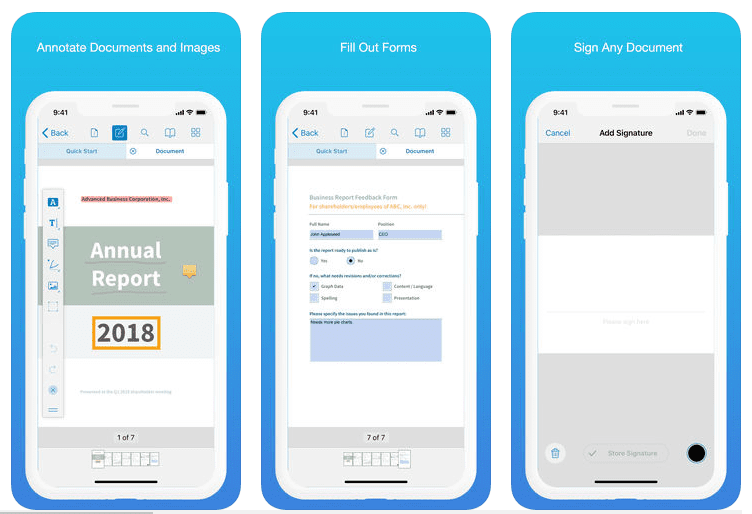 You can fill in the forms and use e-signatures. The app is good for share PDF files and annotating them: you can control who watches and edits your files. In addition, the app provides advances converting features for free: from Microsoft Office files to PDF and back (some functions are paid). A 7-day free trial period when you can enjoy all the functions. The full version charges a price. A good app for editing your PDF files. It has all the basic and some advanced functions. You can not only annotate PDFs and highlight the text but also edit text in some PDF documents (this function available only for iOS) and combine several files into one PDF. The app also has some convenient organizing features to keep your files in order. Easy to work with many files. Some functions available only for iOS. Adobe is famous for the best office apps for your PC, and also for your Android and iOS devices. 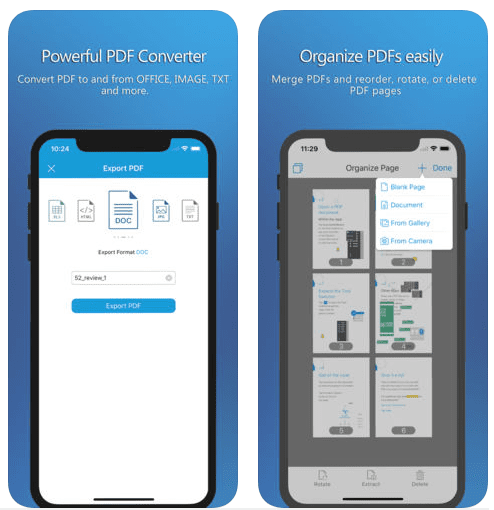 This app is good for most of your PDF needs, and many features are available in the free version. You can read any PDF file, fill in the PDF forms and sign documents. What’s more, you can highlight and underline text and write notes. You can scan the document and save it as a PDF file. For more advanced features you need a paid subscription. 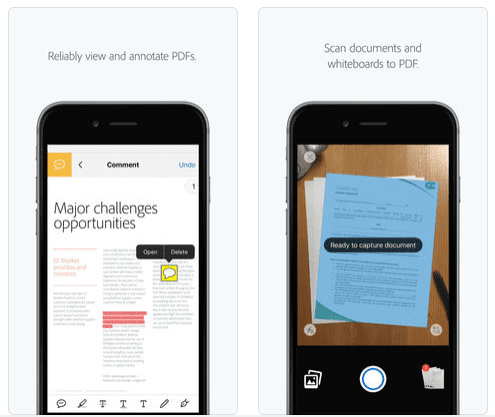 Recommended article: 17 Best Apps to View Documents on Android & iOS. 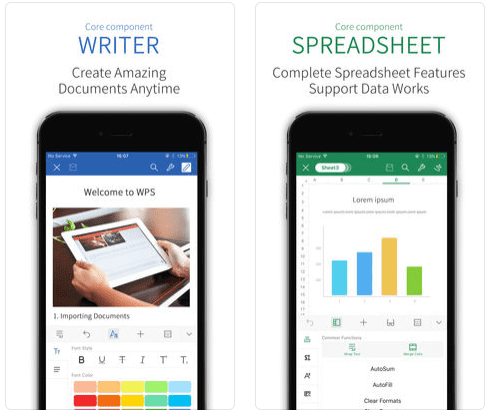 This app is also good for PDF viewing and editing, although it is created to work with various types of Microsoft Office files. With this app, you can create a PDF document from any other file (Word, Excel, PowerPoint etc.). The app also contains such functions as adding bookmarks and annotating PDFs. Very basic editing functions supported. The app is more suitable for PDF reading than editing. 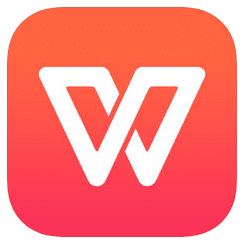 Another app which will be perfect for all your Microsoft Office needs and goes for both platforms. As for its PDF functions, you can view PDF files, scan documents and save them as PDF, export other types of files into PDF, annotate PDF documents, sign them and fill in the forms. If you buy the full version, you will be able to convert PDFs into Word and edit the text. Provides its own OfficeSuite Drive with up to 15 GB available for free. For advanced functions (such as converting PDF back to Word or Excel files) are available only with in-app purchases. One more good office app which allows you to work with various extensions of office files. This app supports not only PDF viewing but also converting it into text formats and editing the text. It is extremely convenient for those who like having everything in one app. Simple interface and nice design. Some functions require a paid subscription. 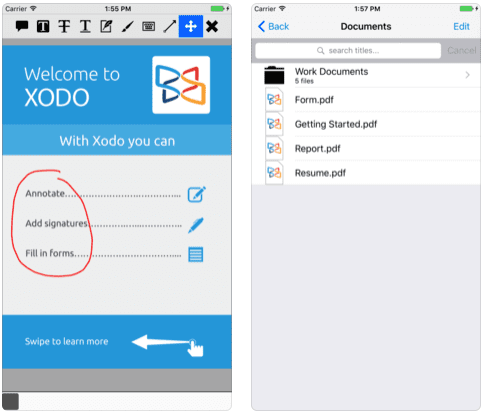 This app also works with PDF documents and supports a few editing functions. With this app, you can view PDF files, add bookmarks, select and copy the text. Better for Android devices, less positive reviews on the App Store. 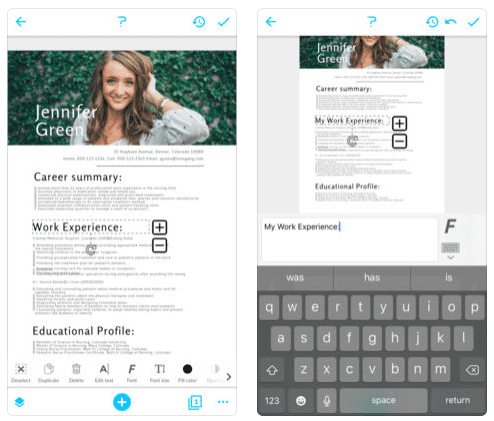 This is a mobile version of an online PDF editor. 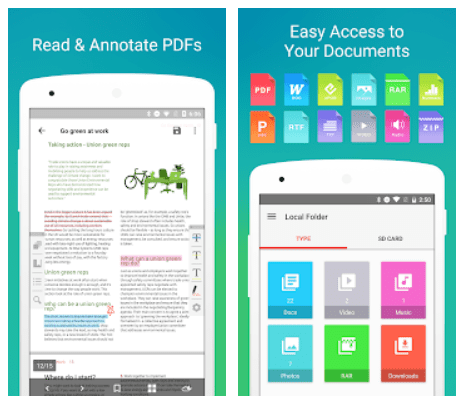 It provides all the PDF editing functions you can find for your Android or iOS device. 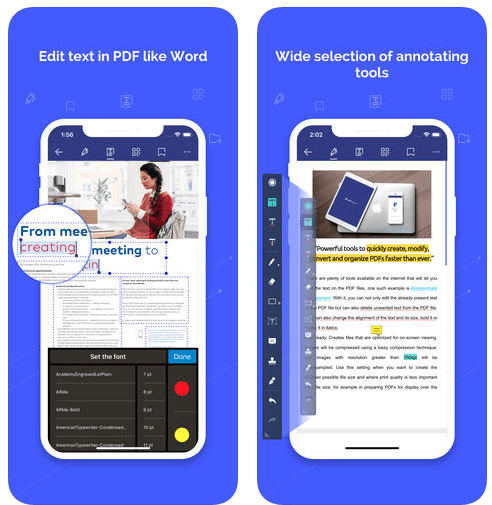 The developer claims that with this app you can not only highlight and annotate text but also change everything, every single word in your PDF file. Apart from some basic functions, you can replace the parts of a file, delete, add or change any logos and abstracts, merge and split PDF pages and many more. Even for using the free version you need to subscribe. This app was developed by Samsung specifically for Samsung Galaxy note, but it is also good for other Android devices. It allows writing and drawing on any PDF file, so you can underline, highlight or cross anything you need using your finger or stylus. Good for reading and storing PDF files. Doesn’t have enough functions to edit the PDFs. 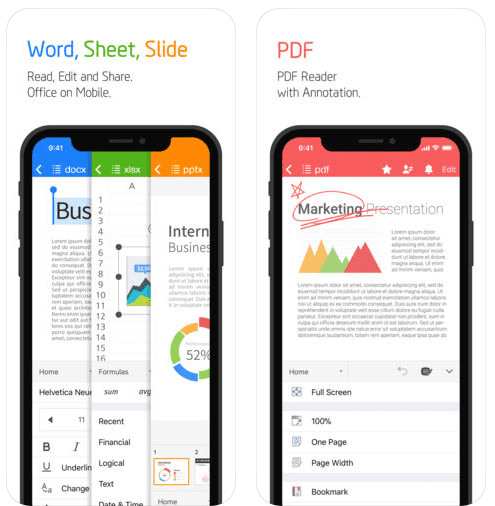 This app is for those who need reading PDF more than editing it. However, it has some very basic editing functions as well. It allows annotating PDFs and writing on them. What is more, you can scan files using your camera and convert the image into PDF. See also: 11 Best writing apps for iPad. 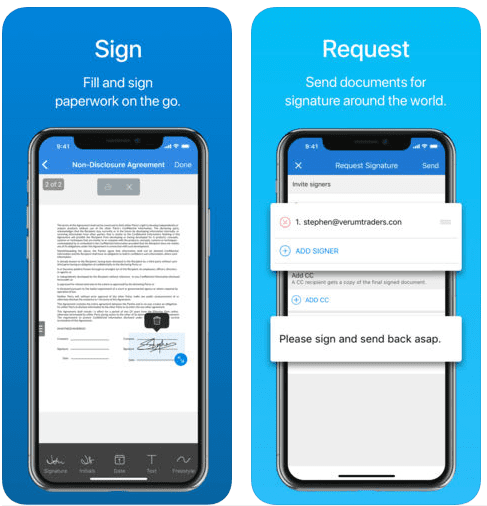 This app is created specifically for signing documents in all the formats including PDF. You can store the e-signatures of yours and your customers and use auto-signing. What is more, you can add some new things to your documents, such as date, logo or a new picture or abstract. Free only during the trial period for 7 days. 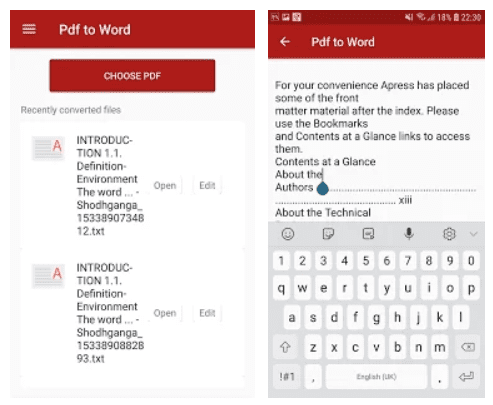 This app for Android can provide all the function for PDF editing you need. 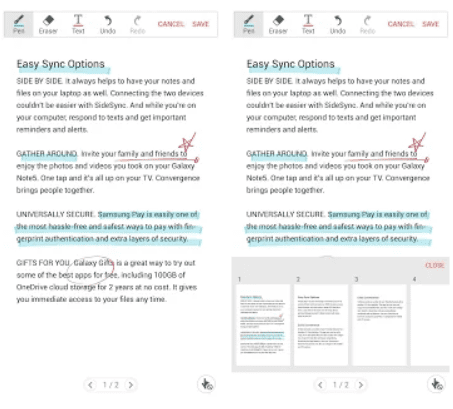 With this app, you can sign and write on PDF, annotate them, use bookmarks and organize them in a necessary order. You can scan files as well. This app is good for those who want to edit not the PDF file but the text inside. It allows you to convert any PDF document into Word, change the text and save the edited document in any form. You can change any extract you want. Misses some basic PDF editing features. 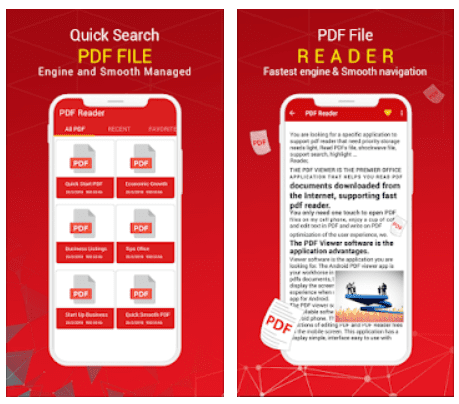 This PDF reader and editor allows not only viewing PDFs but also has all the functions needed to work with this type of file. You can annotate your PDF, fill in the forms, sign the documents and write on them, and, more importantly, merge and split different pages. 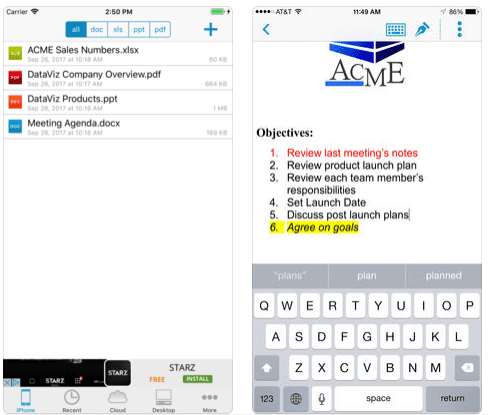 Using these apps you can work with PDF documents wherever you go. So, let your devices make your life easier and enjoy things that really matter.